There are 3 posts tagged robertwyatt (this is page 1 of 1). An old article that I missed. One of my favourite cover versions. Here he is singing a piece from one of my favourite albums of all time, Rock Bottom. 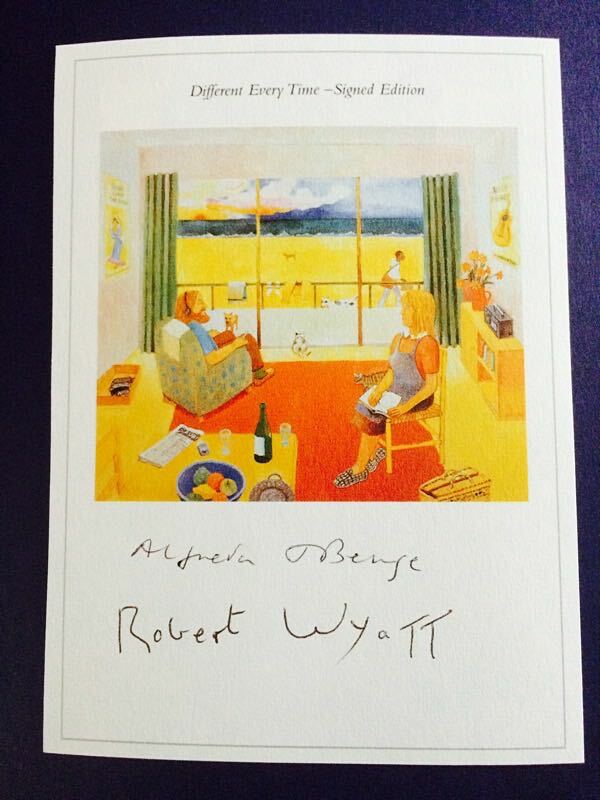 My copy of the new Robert Wyatt biography came with this beautiful, signed, bookplate attached.